The legislation also will allow the city to set a minimum wage for app-based drivers. 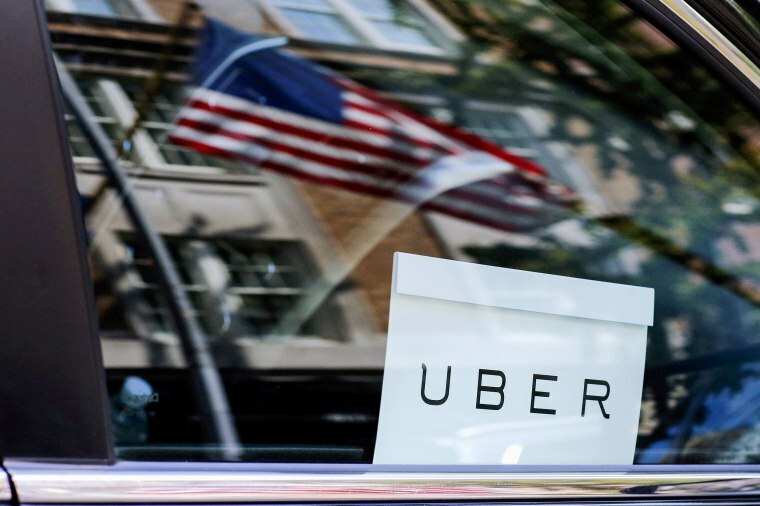 NEW YORK — New York City moved Wednesday to regulate the explosive growth of Uber and other app-based ride services with a temporary cap on new licenses for ride-hailing services. The City Council approved a package of bills that included a one-year moratorium on new licenses for for-hire vehicles while the city studies the rapidly changing industry. The legislation also will allow the city to set a minimum wage for app-based drivers. Backers of the proposals said both the traditional yellow cab industry and drivers for app-based services are suffering as Uber cars flood the city's streets. They said the growth of ride-hailing apps has also worsened traffic congestion. "More than 65,000 working families will be getting a desperately needed raise because of today's vote," said Jim Conigliaro Jr., the founder of the Independent Drivers Guild, which represents drivers for Uber and other services. Bhairavi Desai, the executive director of the New York Taxi Workers Alliance, said the councils' vote set a precedent for the world as companies like Uber and Lyft use technological innovation "to return us to a time of sweated labor, destroying lives and livelihoods across the planet." But Uber spokeswoman Alix Anfang said the pause on new vehicle licenses "will threaten one of the few reliable transportation options while doing nothing to fix the subways or ease congestion." She said Uber will do whatever it takes to keep up with growing demand for its service and will work with city and state officials to pass "real solutions" like congestion pricing for cars in Manhattan. New York City is the largest American market for Uber and is now the first U.S. city to attempt to regulate the growth of app-based rides. A similar cap on Uber and other car services was proposed in 2015 but did not attract enough support to pass. City officials said that in the intervening years the number of for-hire vehicles on the streets has surged from 63,000 to more than 100,000, forcing drivers to compete for scarce fares and making it difficult for any of them to earn a living wage. At the same time, the value of the medallions that are required to operate a yellow cab has plunged from more than $1 million to $200,000 or less, forcing many medallion owners into bankruptcy. Debt and financial hardship have been blamed for the deaths of six taxi and car-service drivers in the last year. Opponents of the legislation said Uber and Lyft provide much-needed service to areas outside of Manhattan that aren't served by traditional taxis. They also said black and Hispanic New Yorkers need ride-hailing apps because yellow cab drivers often won't stop for them. "They're talking about putting a cap on Uber, do you know how difficult it is for black people to get a yellow cab in New York City?" The Rev. Al Sharpton wrote on Twitter. But Councilwoman Laurie Cumbo, a Democrat, said Uber will still be available despite the moratorium on new cars. "Uber as you know it is going to be Uber as you know it," Cumbo said. "You're not going to be stranded. Uber is not going away." The legislation will now go before Mayor Bill de Blasio, also a Democrat, who is expected to sign it.